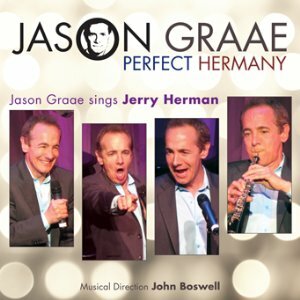 Recorded live before a full house at the beautiful Colony Theatre in Burbank, Perfect Hermany is the perfect match of performer and song, as two great Js come together – Jason Graae and Jerry Herman. Graae’s show is a delightful, hilarious, poignant, and, above all, tuneful trip down Jerry Herman lane, with songs from Herman classics like Hello, Dolly!, The Grand Tour, Mame, La Cage Aux Folles, Mack and Mabel, and Milk and Honey, along with great stories and patter. Jason Graae has the uncanny ability to have you howling with laughter one minute and the next have you misty-eyed. All that, and he plays the oboe. 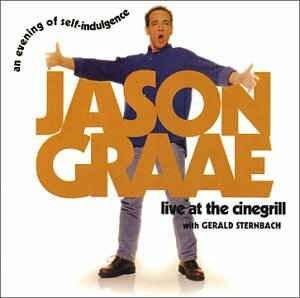 Jason's 1996 album dedicated to the music of Charles Strouse. Songs include: Da-Da, Da-Da, Da Da, One Of A Kind, Baby, Talk To Me, You've Got Possibilities, There's Always One You Can't Forget, I Lost The Rhythm, Dance A Little Closer, Bye Bye Birdie, Night Song, It Would Have Been Wonderful, You're Never Fully Dressed Without A Smile, Maybe / One Last Kiss, You've Got What I Need, Once Upon A Time and Applause.